A national association dedicated to protecting academic freedom expressed deep concern over the University of Illinois’ recent withdrawal of a job offer to Steven Salaita. 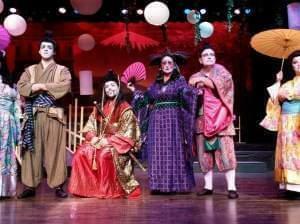 Springfield Performs The Mikado - Is It Racist? Putting on older theater productions can be a dilemma for those who want to preserve the art in its original form. Some production groups may decide to reinvent pieces that could be seen as problematic in modern times. An operetta currently being performed in Springfield by local actors has sparked controversy for what many consider to be racist qualities. Palestinian President Mahmoud Abbas has accused Hamas of needlessly extending fighting in the Gaza Strip, causing a high death toll. A Sangamon County judge issued a preliminary injunction barring Illinois from collecting higher health care insurance premiums from retired state employees. Joan Rivers is in a New York City hospital, one day after going into cardiac arrest at a doctor's office. President Obama says the U.S. doesn't "have a strategy yet" on how to deal with Islamic State militants who now control vast swaths of territory across Iraq and Syria. 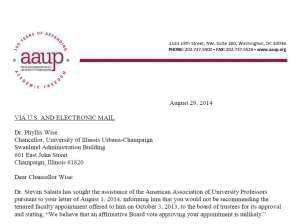 Faculty at the University of Illinois Philosophy Department have approved a vote of no-confidence in Chancellor Phyllis Wise, President Robert Easter and the Board of Trustees for the cancellation of Steven Salaita’s faculty appointment. 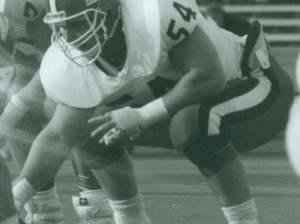 Former University of Illinois Football Captain Curtis T. Lovelace has been indicted by a grand jury on one charge of first degree murder in the death of his wife, Cory Lovelace, in 2006. Oil producers, drilling companies and geologists frustrated with the slow process of implementing rules for fracking are putting their money behind Republican Bruce Rauner. Just as the Illini are about to kick off another season, University of Illinois officials plan to make it easier for sports fans to use cellphones at Memorial Stadium.